Aura Stone Designs makes handcrafted bracelets in Markham, Ontario, Canada. We use only natural stones that are sourced from a local supplier and and from Canada when possible. 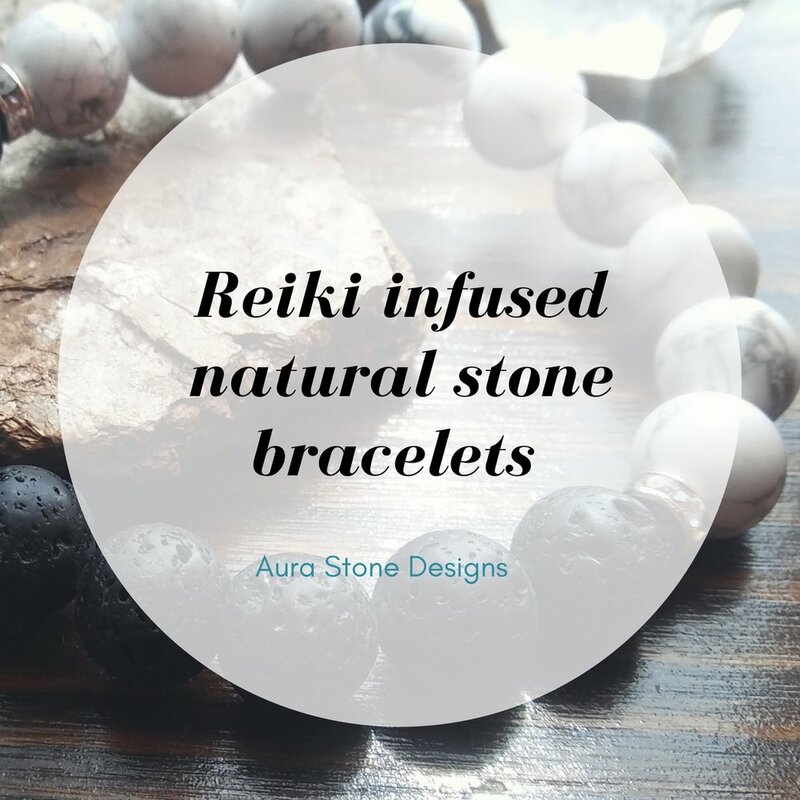 Each stone is infused with positive loving energy by a trained Reiki practitioner to increase the metaphysical properties for maximum benefit. Our minimal designs have been described as luxury, classic, and timeless. It has become a favorite among lifestyle and fashion bloggers, proving that good vibes go with every style! Not only is your Aura bracelet gorgeous, it also comes with information on the stones. You will be educated on the geology of the stones, any historical significance, and the metaphysical properties. Knowing a bit more about your bracelet can make it more meaningful to you and help you connect to it's vibration. Plus, if someone comments on your stunning bracelet, you will be educated to share interesting facts about your stones and spark a conversation. Aura Stone Designs wants to help empower people to live a more positive and intentional life. Your bracelet also includes affirmations or mantras that match the intent of your bracelet to increase it's effectiveness. Say an affirmation when you put it on. Look at your bracelet and say your affirmation when you need a pick-me-up. Use your bracelet as a support in your daily self-care routine. Take a deep breath and check out our store and see which bracelet call to you!